Cortex is designed modularly such that users can experience a variety of interactions by themselves or in conjunction with another user. 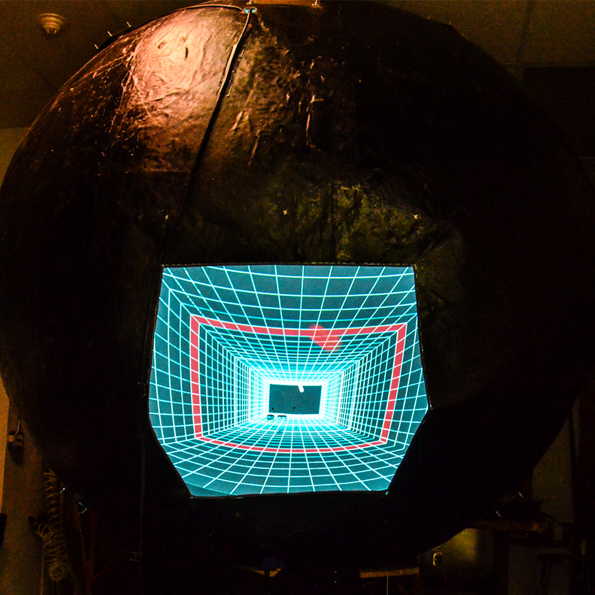 The immersive visualizations are presented to users via motion graphics and images projected on the interior surface of the module’s 8-foot spherical interior. The enveloping size and peripheral ambient glow of this projection allows users to engage with the experience and peculiar acoustical properties of the space create an other-worldly environment in which they can explore and expand their boundaries of perception.